Phew it's good to be home, a very late arrival home, have been to hospital with DD and stopped off at Costco for party supplies (loads of sweeties for energy) and got caught up in a nightmare traffic jam, only to be told on my arrival back home that sorry Mum but you need to take us to ATC (aaaaaaaaaaaaaaaaghhhhhhh! 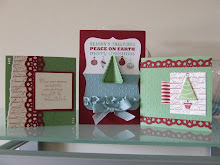 ), so I am home again eventually and I am now going to work on some new classes (loads of really exciting classes coming up, my best list yet, even if I do say so myself) and we have loads of new tutors on board so I promise you won't be fed up! You really won't want to miss out. Should really type the list but I am in the mood to play and de stress! 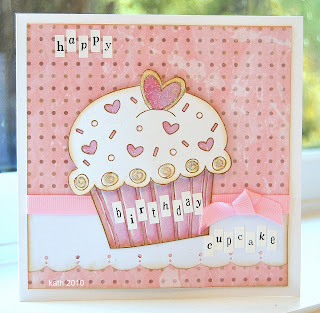 This is a picture of the first card for the "pink challenge", thanks to Kath for taking part and I think this heor arts cupcake was in her shopping basket not so long ago, a gorgeous card, so anyone else want to take part, to win some blog candy and donate to a fabulous cause. That card is GORGEOUS!! I love it - well done Kath.